President Trump has tried to reverse President Obama’s efforts to slow climate change. He withdrew the U.S. from the 2015 Paris climate accord, and he has tried to roll back environmental regulations. Some of his proposed regulatory cut-backs have been stymied by the courts because of procedural deficiencies, but the Administration can soon correct those problems. His policies are driving climate scientists out of government, leaving critical research and climate mitigation efforts unstaffed. How much does it matter? How much of a threat is climate change? Temperature. It’s getting hotter. Sixteen of the seventeen warmest years on record have occurred since 2000. This summer, all-time high temperatures were recorded around the globe, including in Los Angeles (111°F on July 6); Sodankyla, Finland, above the Arctic Circle (89.2°F on July 17); and Hongcheon, South Korea (105.2°F on August 1). On July 5, Ouargla, Algeria, set what is believed to be Africa’s highest temperature ever, 124.3°F. To date, the earth has warmed on average almost 1°Celsius (1.5°Fahrenheit) above pre-industrial levels. Much of the increase has come since 1980. If you are over 35 years old, climate change has been noticeable within your lifetime: flowers bloom earlier in the spring, there are more very hot days in summer, and you wear a heavy coat for fewer weeks in the winter. At the present rate of change, by 2100 the earth’s average temperature will increase to about 3°C (5.4°F) over pre-industrial levels. Within the lifetimes of babies born this year, the changes wrought by hotter weather will be dramatic, possibly rendering parts of the planet uninhabitable. Sea-level rise. The ocean is rising, and at an accelerating pace. The rise varies from place to place, but over the past 25 years has averaged 3”. Water expands as it warms, and historically much of the rise has resulted from higher water temperatures. The other causes are melting glaciers and ice sheets. Even the small rise to date has contributed to major damage in coastal areas. Higher sea levels aggravated devastating floods caused by storms in New Orleans, Houston, and Puerto Rico. Miami faces increased minor flooding from seasonal high tides, called king tides. Sea-level rise is expected to accelerate. The U.S. National Oceanic and Atmospheric Administration projects increases ranging from 8” to 6.6' by 2100. Since much of the world’s population lives along coastlines, sea-level rise is expected to displace millions of people by 2100. In the U.S., Florida faces the greatest risk. At the higher levels of NOAA’s predictions, all of the ocean coastlines of the U.S. would be in some jeopardy from rising waters by 2100, as would low-lying land slightly inland, including parts of Arlington. Storms and other disasters. Weather-related disasters are becoming more frequent and the worst are becoming more severe. Higher temperatures increase both the rate at which seawater evaporates and the amount of water vapor the atmosphere can hold. Higher levels of atmospheric water vapor in turn foster more intense storms. Total precipitation is increasing in the U.S., and the amount of rain or snow falling in the heaviest 1% percent of storms is rising nearly 3 times as fast. Our worst storms now dump 20% more precipitation than they did 40 years ago. Climate change is also generating more drought, disrupting food production and fostering conditions that enable wildfires to spread more quickly. This year has been particularly bad: California has lost more land to wildfires in 2018 than it did in 2017, one of the worst years on record. Its fire season is lasting longer, with more, and more severe, fires. This year also saw unusually serious wildfires around the world, including in Canada, Siberia, and Greece. 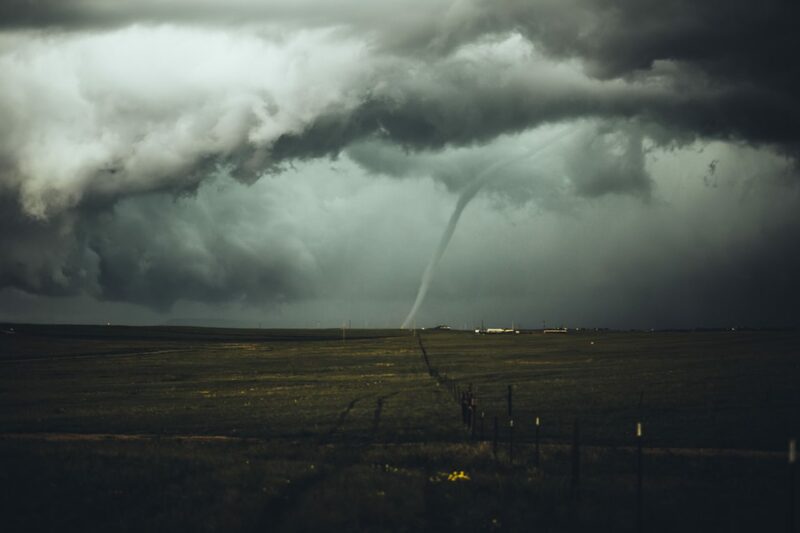 From 1980 until 2018, the U.S. experienced on average 5-6 weather-related disasters per year that caused $1 billion or more in damage. In 2017, it suffered 16 of them. In the first half of 2018, it suffered another 6. The trend is clear. Going forward, there will be more weather disasters and the worst of them will be more destructive. In the face of these threats, Trump’s dismantling of federal efforts to mitigate climate change is disastrous. What can we do? One step is to elect environmentalists to state and local government, where much good can be done. California has taken the lead among the states by adopting measures that succeeded in reducing its 2016 carbon emissions to 1990 levels. It has just adopted goals of 100% renewable energy production and carbon neutrality by 2045. Much of the hands-on work of meeting these goals is being done by municipalities through adoption of green building standards for public and commercial projects and programs to conserve resources and reduce pollution. We can do the same in Virginia and Arlington. The time to start is with this fall’s election. Democratic Senatorial candidate Tim Kaine and Democratic Congressional candidate Don Beyer are both on record in support of sound climate policies. 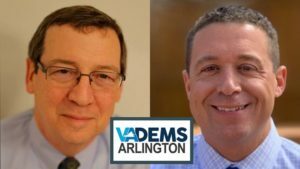 Matt de Ferranti, Democratic candidate for County Board, is a strong environmentalist who supports putting Arlington County on a path toward 100% renewable energy use in county facilities by 2035. 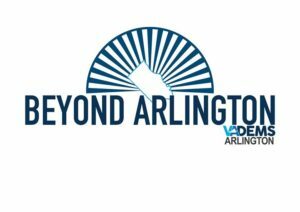 Democratic School Board candidate Barbara Kanninen is a Ph.D. environmental economist who has championed investment in STEM (Science, Technology, Engineering, and Math) education for Arlington Public Schools. Support their campaigns, and vote!